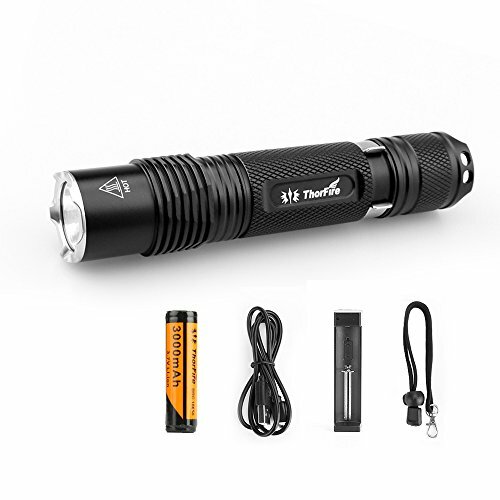 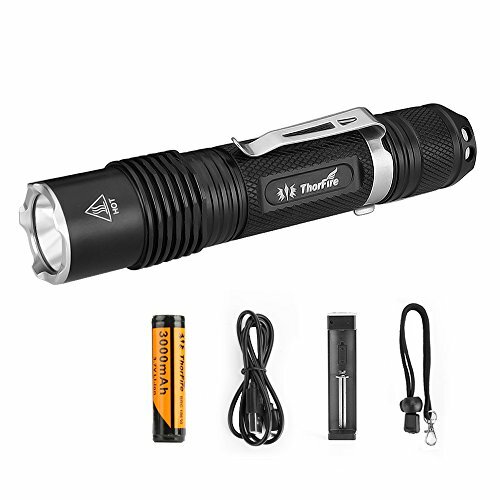 Ultra Bright: Utilizing Cree XM-L2 LED, VG15S flashlight Delivers Max 1070LM output with 600 feet beam distance. 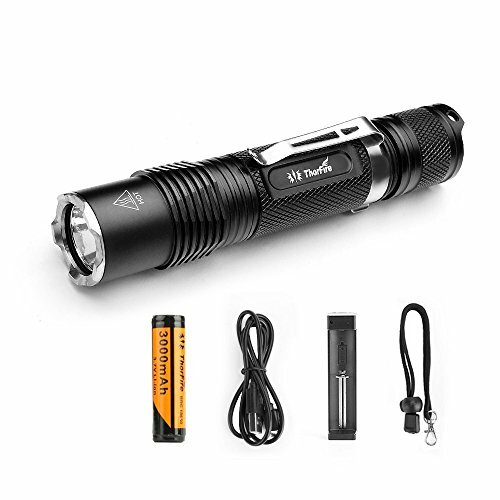 5 Modes with Memory: Firefly(0.5LM)/Low(50LM)/Mid(200LM)/High(600LM)/Turbo(1070LM), Double tap tail switch to activate strobe mode, perfect for camping, hiking, cycling and emergency Rechargeable Battery With Charger: Come with rechargeable 3000mAh 18650 Lithium battery and Charger, save your money and batteries. 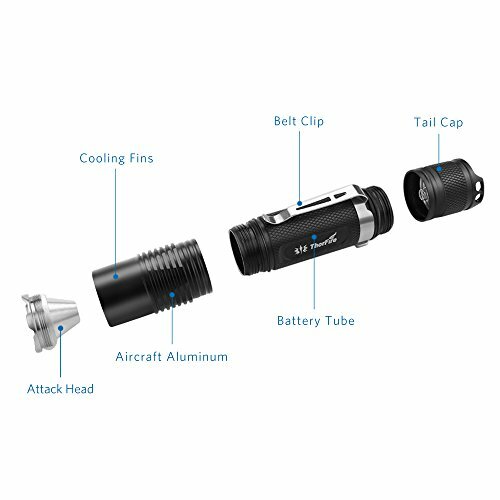 Safe: Charger have over charger protection, short circuit protection and reverse connect protection. 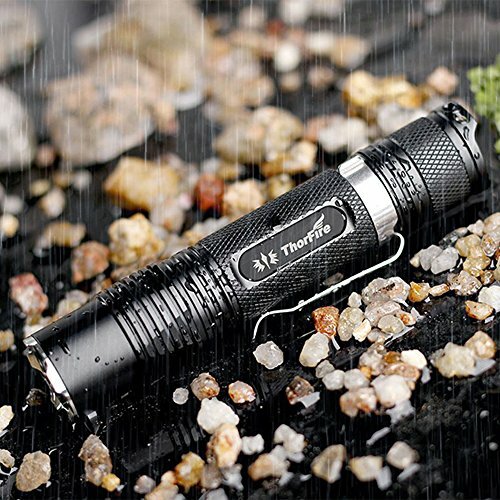 Warranty: ThorFire Provide customer with 18 month warranty and very helpful customer service.